At PrimeLife we specialise in providing a high quality standard of living tailored to our clients’ individual needs. We ensure that our clients’ respect, dignity and right of choice are at the heart of everything we do. We offer comfortable, homely and safe living in a friendly and sociable environment, ensuring all of our clients enjoy life with PrimeLife. River Meadows care home is a purpose built facility which comprises of 41 single level access shower en-suite rooms, registered for clients whose need are associated with old age or dementia. 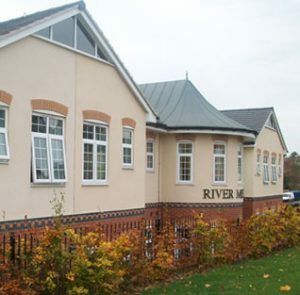 You’ll discover beautiful landscaped gardens with raised flower beds, a hairdressing salon, access to local amenities plus lots more when you come to visit us here at River Meadows care home. To find out more about this care home please download the brochure below or click here to contact the team at PrimeLife.